← You mean THAT’S gotta fit in HERE? 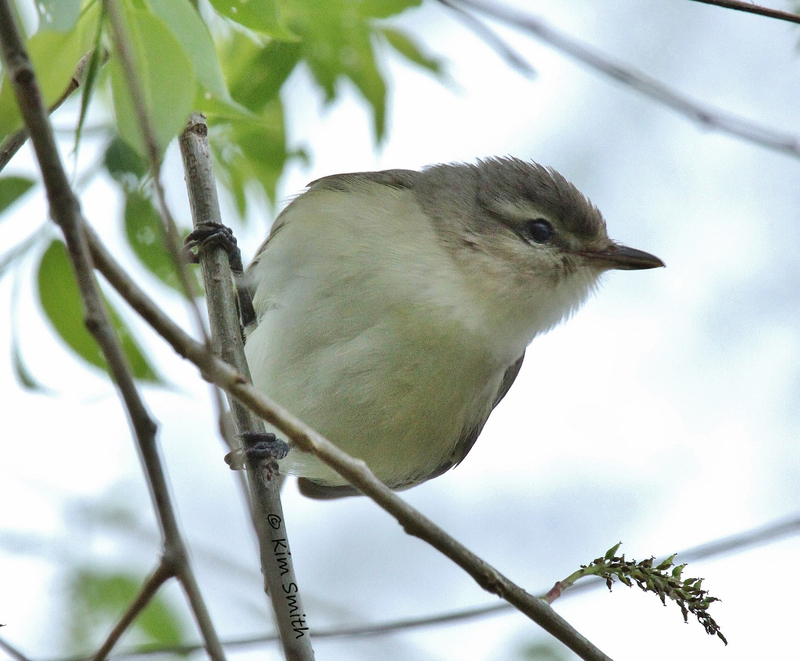 I finally feel capable of attempting to write about my experience at this year’s Biggest Week in American Birding (BW), my fifth consecutive year of attending. I hope to convey why this festival is the highlight of the year for me and so many of my nature-loving friends. Ready? Okay, let’s do this. Oh, first I should tell you about this little Screech-owl. Maumee Bay State Park is the festival headquarters for the BW, and they have a 2-mile long boardwalk through a marsh beside the lodge. This owl roosted near the boardwalk every day, allowing lots of birders to enjoy unobstructed views. After the challenge of trying to see and photograph fast-moving little warblers high in the trees, an owl is a welcome change of pace. 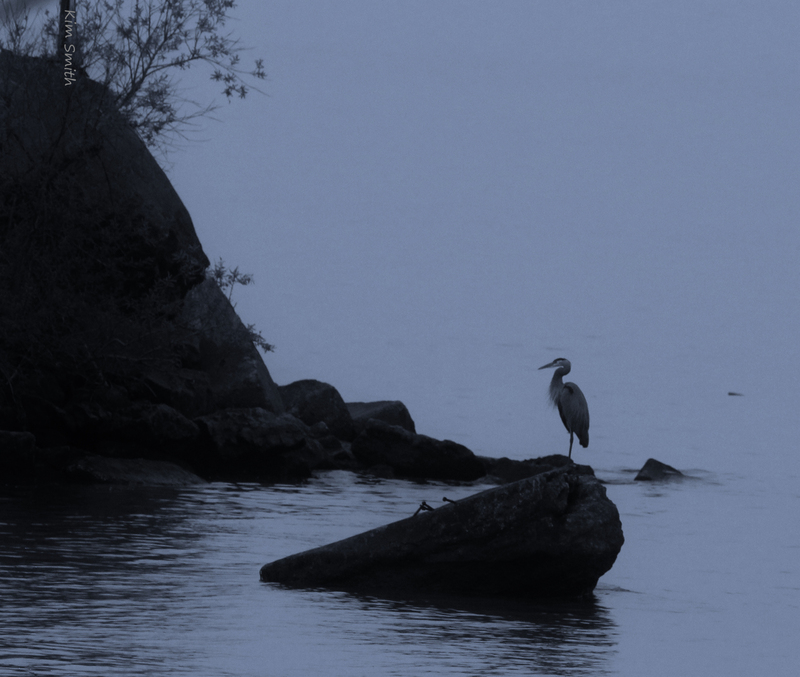 I saw this bird on three separate days. 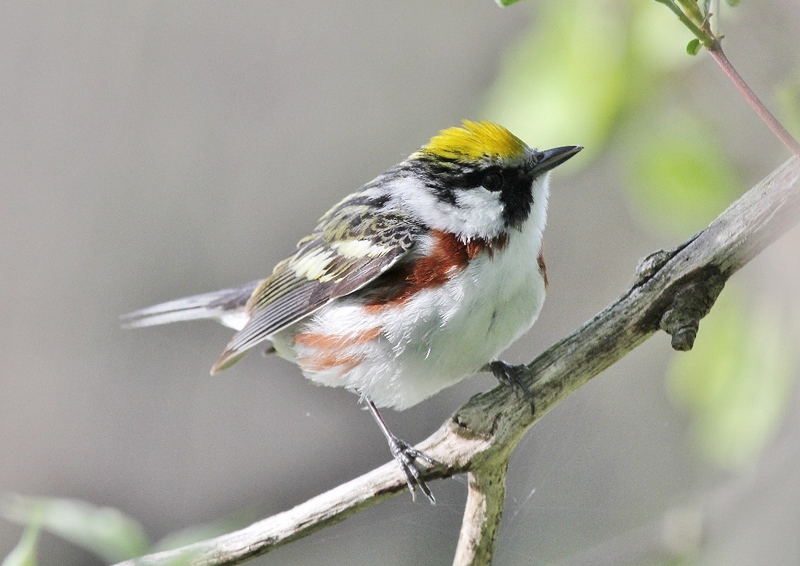 On one of those days I’d been standing outside the marsh alone before an event, looking for warblers, when I struck up a conversation with another birder who came along. It turned out she was relatively new to the world of birding, and had never seen a screech-owl before. So I took her into the marsh to see this one, and we enjoyed seeing some warblers while we were in there too. Which brings me to one of the best parts of this festival: Everyone is so friendly and enthusiastic. It’s easy to be happy when everyone around you is in love with birds and nature. I imagine it’s what Woodstock would have been like — peace, love, and lots of hugs. (Well, like Woodstock if you subtracted the pharmaceuticals and added in lots of birds.) For the past several weeks my Facebook feed has been full of dozens of pictures of friends hugging each other with big goofy smiles on their faces. It’s only now starting to slow down, almost two weeks after the event ended. I’ve never been any place else in the world that made me feel like this, and that’s probably why I shed some tears every year on the last day of this festival, when I have to get in my car and head home. I just don’t want to leave that place. 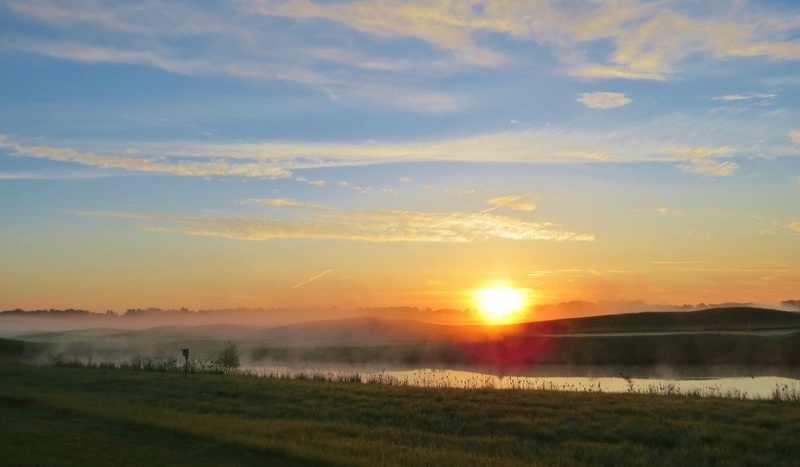 There’s a great memory to go with this sunrise picture. I arrived at Maumee Bay Lodge early one morning to pick up a friend for a leisurely morning of photography at Magee Marsh. As I proceeded up the long drive to the lodge, the sun was just peeking over the hills of the golf course, illuminating the foggy landscape. As birders do, I slowed the car and put my window down, just in case I could hear any birds. And instantly I heard the song of an Eastern Meadowlark from somewhere out in the haze. Excited, I snapped a couple pics with my phone, and then quickly went ahead to pick up my friend Drew, wanting to share this beautiful moment with him. He barely had a chance to get in the car and I took off again, knowing that the sunrise would happen very quickly, and wanting to make sure he got a chance to see it. He had his camera ready and jumped out of the car when I got to just the right spot. We both heard the meadowlark singing, and I slowly rolled the car along as Drew jogged down the road, taking photos at various vantage points. I hope I keep this special memory for a long time. I have to confess that, as a night owl, I haven’t seen all that many sunrises in my life. But this experience makes me want to start going to bed earlier so I can start seeing more of that beautiful part of the day! 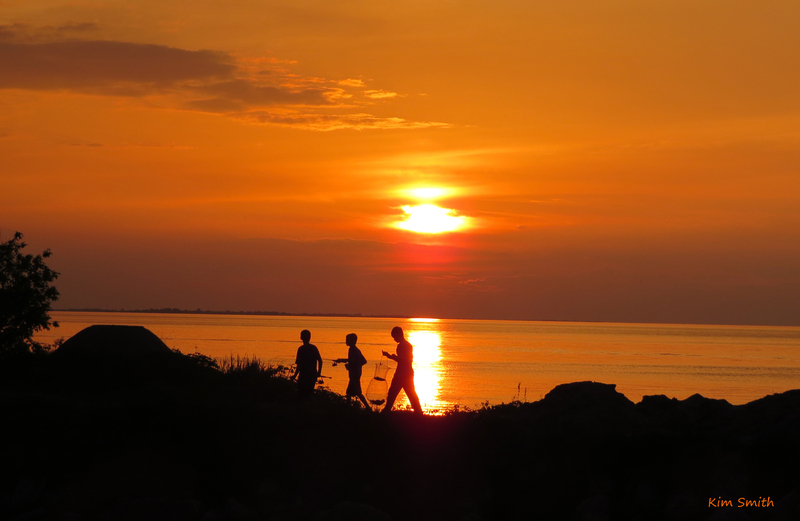 So there were sunrises…and sunsets…. …and I feel like I’m forgetting something. Oh! The birds! Do you want to see some birds? I normally only see plovers in distant flocks requiring the use of a spotting scope, so I was thrilled when I happened upon this single bird along the auto route through Ottawa National Wildlife Refuge. I was able to stop the car and verrry slowly stick the camera out the window to get this shot. Such a beautiful shorebird! This next bird was another special moment. 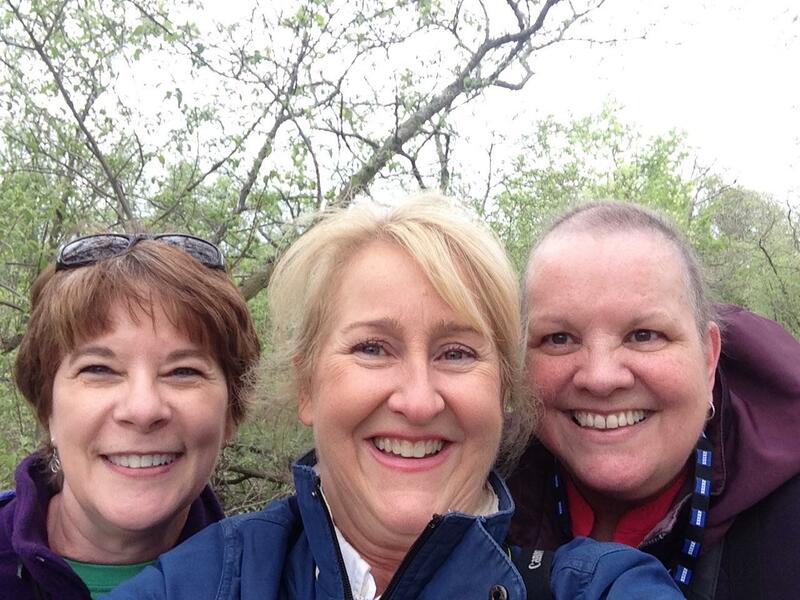 I’d arranged to meet two of my friends at Magee Marsh late in the afternoon on a cold and windy day. It was the only time the three of us could be together, and we only managed to spend a couple hours together, but it was wonderful. 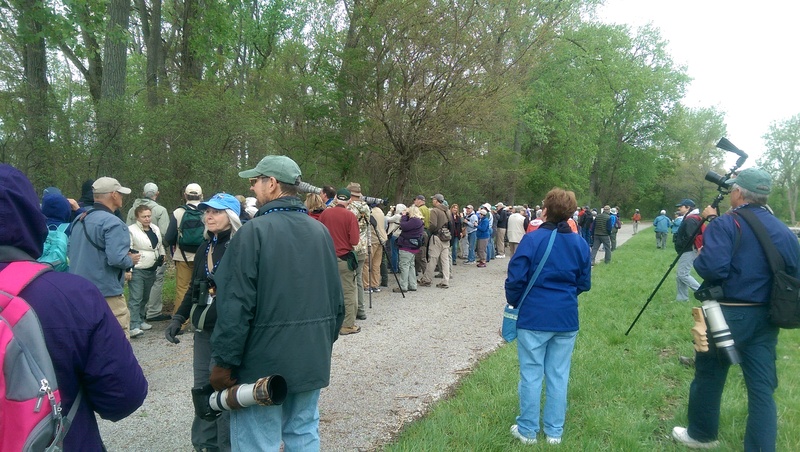 Because of the less-than-favorable weather, there weren’t too many people out birding that afternoon, so we had lots of room to stroll slowly, chatting and watching birds. It seemed that most of the birds were staying up higher in the trees this year than in past years, and so it was a real treat when this Northern Parula came down low beside the boardwalk. And not only did he come down lower, but he sat still and preened for a couple minutes, allowing all three of us to snap dozens of photos of him at close range. It was the best view I’d ever had of this pretty species, and being able to share it with two special friends made it that much better. I think this might be getting too long already, but if you’re still here I might as well tell you one more story from this day. And I so wish I’d taken a picture to go along with it. When I was in Texas last November for the Rio Grande Birding Festival, I had a conversation with a couple of Texans when they asked me about the Biggest Week t-shirt I was wearing. I told them all about it and gave them my blog address so they could come here to read more. I didn’t think too much more about that conversation and went about my business. So when a woman walked up to me on the Magee Marsh boardwalk and said, “Kim?”, I didn’t realize who it was. It turned out to be Pam and John, the people I had talked to in Texas! They told me that they had come to Ohio because of how enthusiastic I had been when I told them about this festival, and that they were having the time of their lives. I was so blown away I could hardly form complete sentences. By now you’ll expect that I shed a few tears. Again. I was already having a great day, but they put the icing on that sucker right then, let me tell you. I’ll never forget how I felt at that moment. So proud of our festival and so happy that they were enjoying themselves on their first trip to Ohio. And I ran into Pam and John again a few days later when I was at Magee Marsh with my sister, and they were still having fun! As for my sister, well, I didn’t manage to turn her into a birder, but at least she got to see this place and why it means so much to me. I didn’t go on many field trips, but I took two writing workshops that were very inspiring. One was about how to write about conservation issues in a way that motivates people to take action, and the other was a poetry workshop. 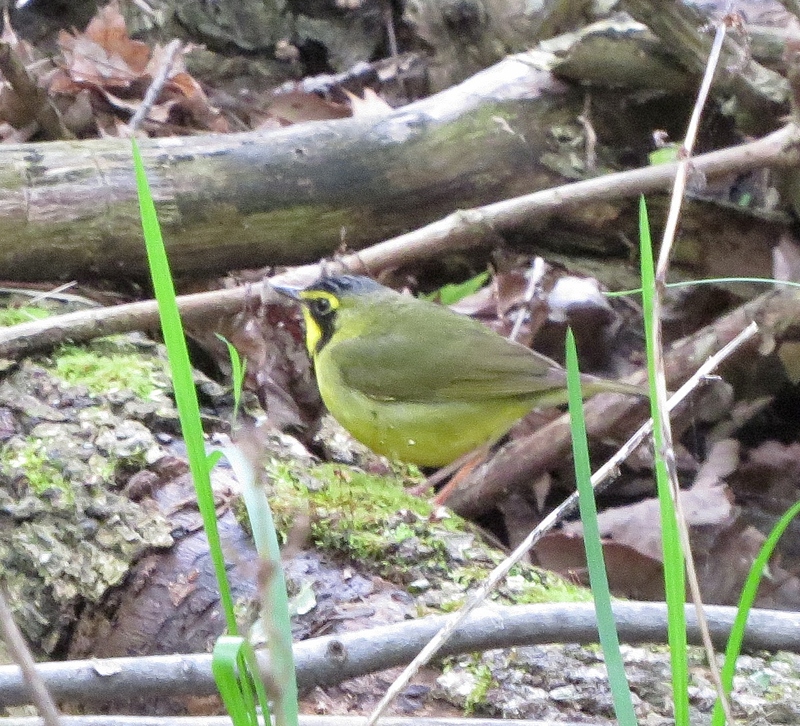 Kentucky Warbler, one of my most-wanted warblers in the past few years — finally! I’ll continue adding more photos to my Flickr photostream, so hop over there occasionally if you want to see more. Just writing this has put a big smile on my face, as all the memories come flooding back. 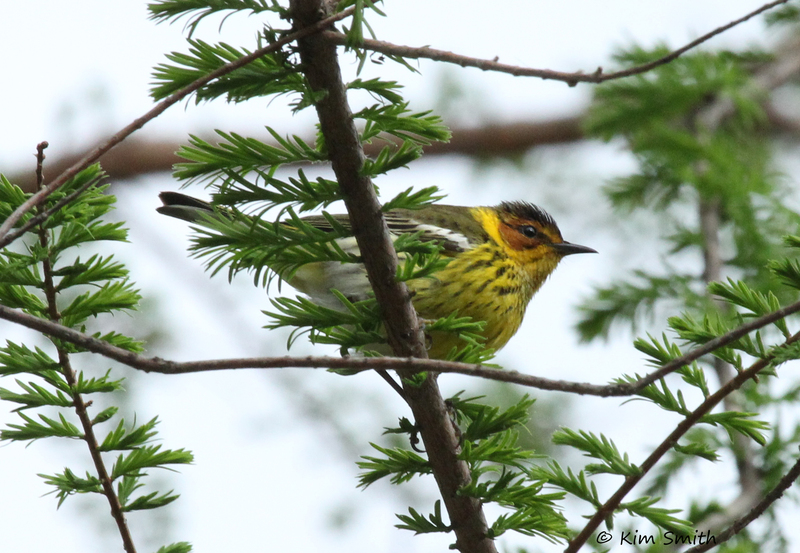 I hope I’ve been able to give you a sense of the magic of spring migration in northwest Ohio. If you have even the slightest curiosity about what it’s all about, I urge you to come to the Biggest Week next year. It might just change your life too! 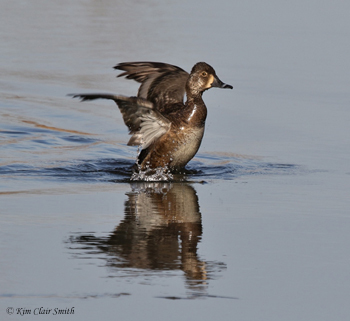 This entry was posted in Birds and tagged birds, Magee Marsh, Migration. Bookmark the permalink. I’ve heard so much about Magee Marsh. It just made my to do list. I, too, am a bird lover from Michigan. Thanks for sharing. Julie, you’ll be so glad you added Magee Marsh to your list. It’s an amazing place! 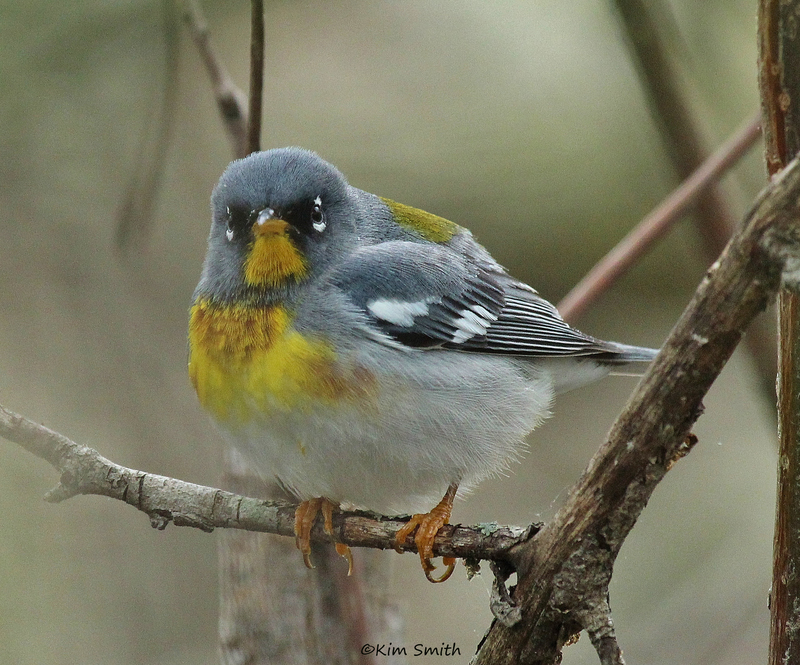 Yeah, that time with the Northern Parula was wonderful. I’m so glad you’re going to have more time to spend at the Biggest Week next year! Kim thanks for sharing, it looks like an amazing experience and I can see why you would return again and again. I really should look up bird events in Australia. Love your list too. Photos amazing and sounds like workshops were inspiring. Perfect holiday. I bet you would enjoy going to a bird festival in Australia, Kath! Just think of all the drawing inspiration you’d get from it…. I have a friend who lives part-time in Australia and part-time in the U.S., and he’s very much into birding. I might be able to get some info from him if you ever need it. I know I would Kim and I am going to put it on my bucket list. Along with the big one, hoping to see a humming bird up close one day. It amazes me that I have blogging friends overseas that have them nesting in their back yards. I’m obsessed by them. You’re absolutely right that I’m in my element there. I honestly feel like the best version of myself when I’m down there in Ohio helping people see birds and learn about nature. After two years of reading about your experience at BW, I’m so hoping to go for at least a couple days next year. 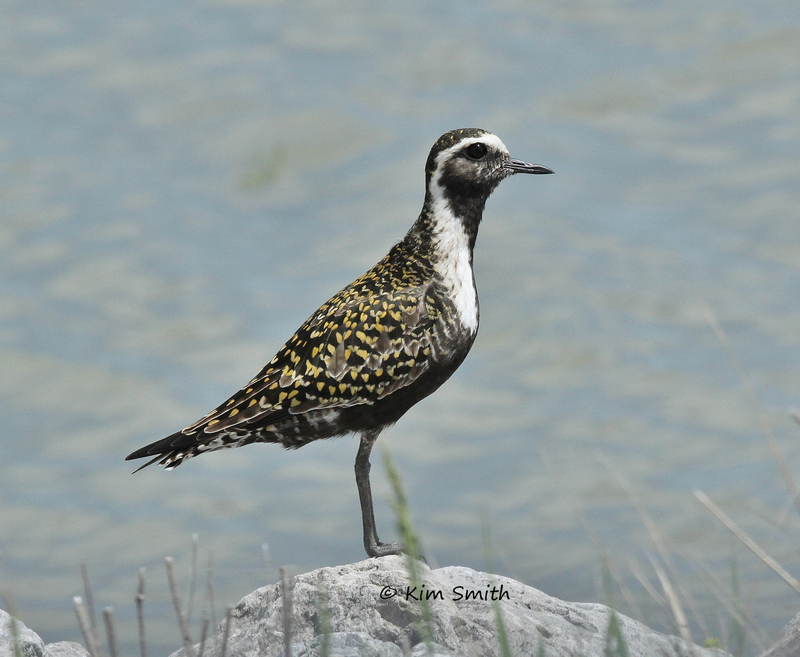 Love the Golden Plover all decked out in spring plumage. I don’t know how you hang in there for 10 days. Two or three heavy days at birding festivals wears me out, and I don’t even try to photograph birds – just look for them. 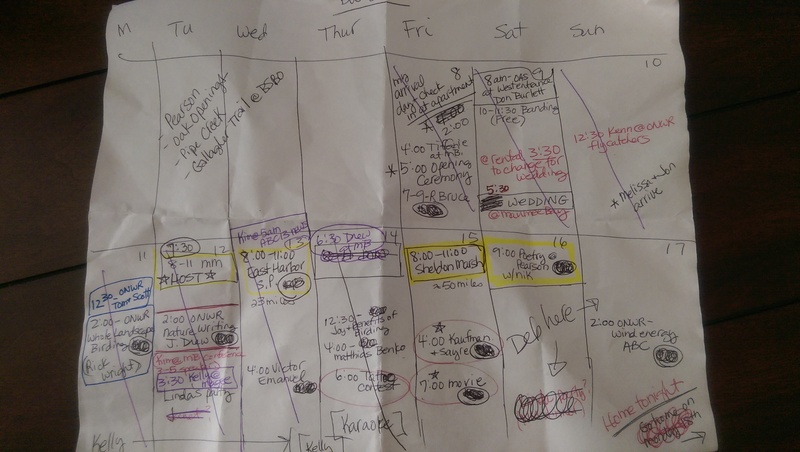 Gail, it definitely wears me out but I try to arrange my days so I have plenty of down time. And of course when it’s all over it takes me many days to fully recuperate. My first couple of years attending the festival I only went for a few days, as you’re planning to do. But I quickly found that wasn’t enough. I really hope you get a chance to experience the BW next year.